I’ve always loved chickpeas in their “hummus” form, but it took me decades to appreciate them in their natural state. Growing up, I remember my mom making mixed bean salads showcasing chickpeas as the featured ingredient. I would always, always scrunch up my face and make some kind of “eeeeeww” noise whenever she’d make it. I never understood their appeal… they were just kind of blah. 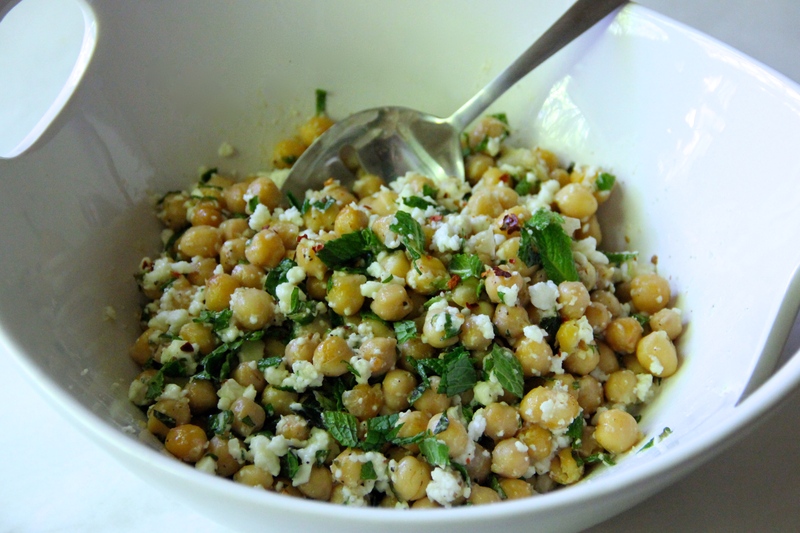 It wasn’t until my adult years that I thankfully discovered that chickpeas (or garbanzo beans to some) are awesome. 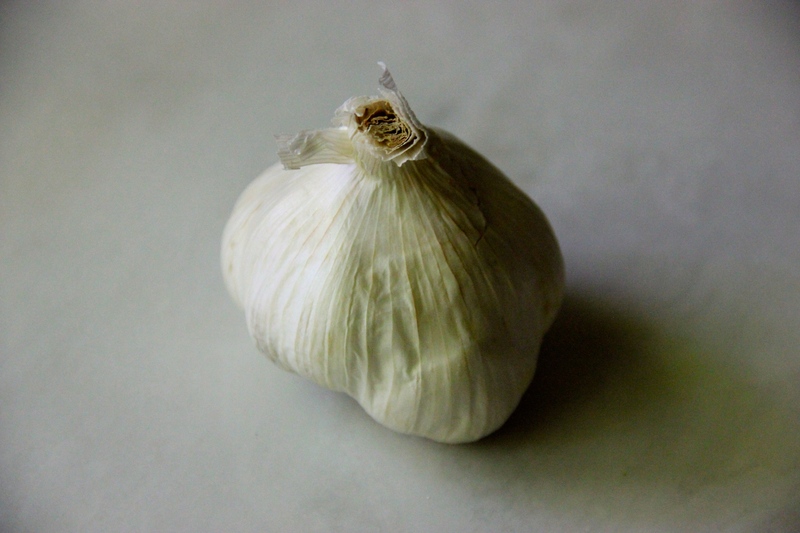 They offer great nutritional benefits (high in fiber and protein) and are incredibly filling. And that flavor? Well, it’s grown on me. Chickpeas on their own boast a bit of a nutty kick, but they are mild enough that they can take the back-seat when mixed with more dominant spices and seasonings (making them perfect for the Middle Eastern dishes they so often populate). A few weeks ago, I stumbled upon this recipe while perusing Pinterest. I was curious, and a few nights later decided to give it a try. I’ve pureed chickpeas, boiled them in a tomato base and eaten them raw, but until now had never roasted them. Roasting the chickpeas with garlic, salt and olive oil added a ton of flavor. And while the chickpeas maintained their texture, there was a slight added crunch to their outer shell. 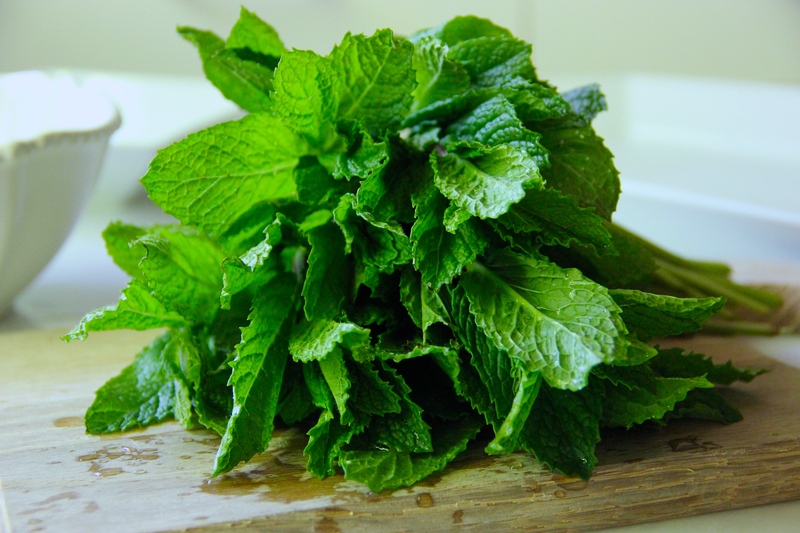 This is a great dish that can be enjoyed on its own as a salad, and would also be a great side offering for a picnic or potluck. It holds well at room temperature, and tastes just as great hot as it does right out of the fridge. Happy Thankful Thursday, and bon appétit! In a medium sized bowl, mix together the olive oil, garlic, red pepper flakes, salt and pepper. 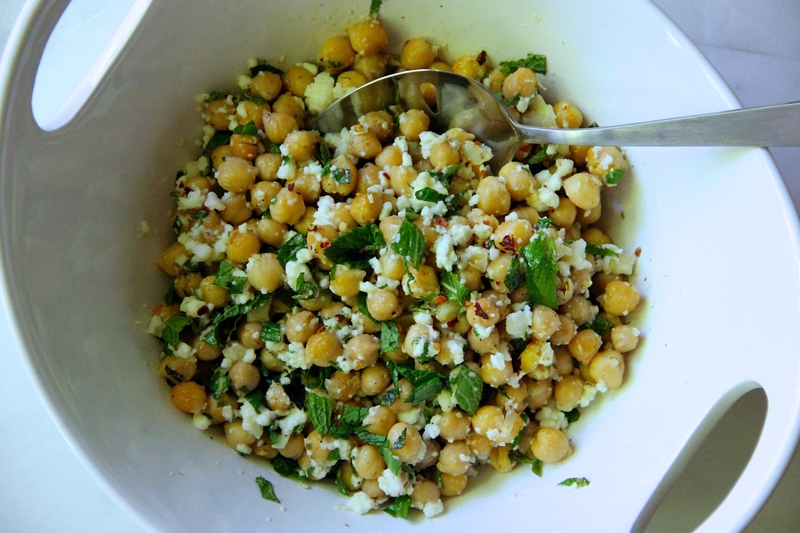 Add the chickpeas to the olive oil mixture, and toss until thoroughly coated. Transfer to a baking dish, and roast for 18-20 minutes. Chickpeas should be slightly browned and crisp. 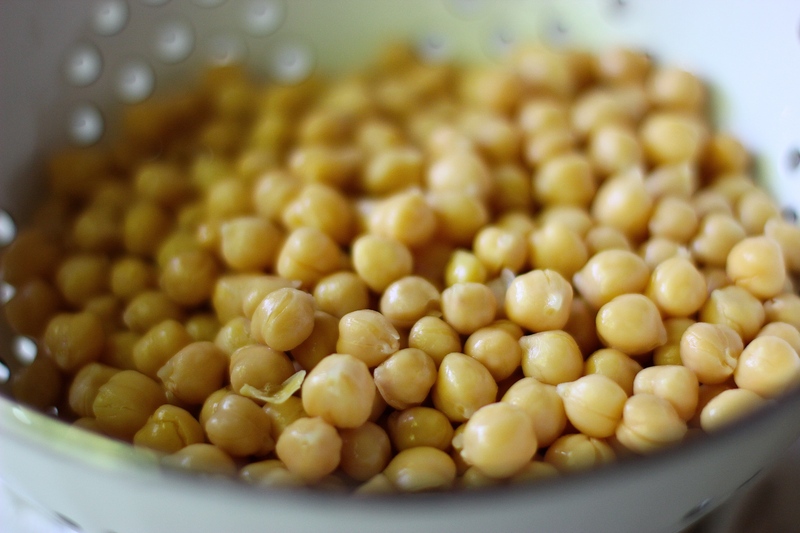 Remove the chickpeas from oven and allow to cool. 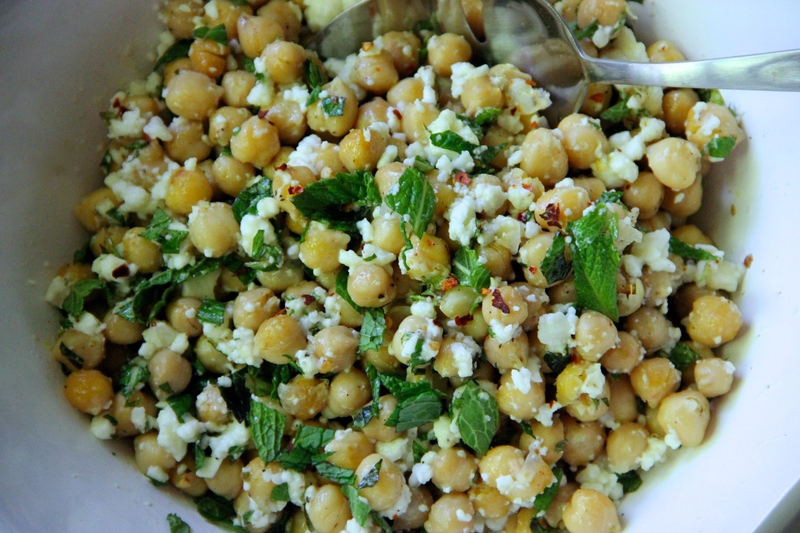 Transfer to a serving bowl, and toss in the feta and mint. Using a grater, finely shave the lemon skin over the salad and then squeeze the juice of the lemon into the mixture and toss again.